Beyond the clear waters of an attractive lake are forests, which are further accompanied by pleasant weather that remains throughout the year; this place, which offers a silent break, is Yercaud. The place has been highly regarded since the British rule and is considered as one of the best hill stations in South India. Looking at its historical importance, the town has much more to offer when it comes to knowledge, beauty and culture. Yercaud truly has something for every soul. Talking about hill stations, the most attractive feature, which comes to anyone's mind, is the scenery. Yercaud is one such place which offers panoramic views throughout the place. But only scenic beauty would not make a trip memorable; there are plenty more things to do. Have a look at some of the interesting things one can do to make the trip a memorable one. India has always been known around the world for its coffee and tea plantations. There are many towns in the country whose primary attraction is that of the plantations or gardens; Yercaud is one such town. The 32 km Loop Road happens to be a stretch, which begins from the well-known Yercaud Lake and passes through the rolling hills and agricultural plantations of the place. The 32 km hike brings you closer to the coffee plantations of the town. It not only throws light on the role of Yercaud in bringing out the filter coffee culture of Tamil Nadu, but also takes you on a journey which offers a taste of culture, imprints from a rich heritage and much more. Pagoda Point is a spot which has been blessed with captivating and breathtaking views of the landscapes around the place. The point offers breathtaking views of the entire town and unveils a magical charm which would give solace and tranquility to its visitors. The true charm of the place is the feeling you would get of standing at the doorstep of heaven, wrapped with the best of earthly elements and would bring clouds closer to you, leaving one dumbfounded. The Servorayan Temple is located at the highest point of the hill station. Due to its height, the place offers one of the most beautiful views of the region. The temple was originally established by ancient tribes and is dedicated to Goddess Kaveri. The shrine throws light on the ancient history and various mysteries, which surround the area with their religious and historical significance. The structure arrests you with its beauty and energy. Prior to independence, there was a spot in Yercaud which was frequented by the British women residing here; hence, it came to be known as Lady's Seat. The place used to be a recreational spot for the women who would bond with each other or simply catch some quiet time while enjoying the panoramic views of the clouds, greenery and mist of the place. Lady's Seat still serves as a seat to beautiful views of the entire hill station. One of the major attractions of Yercaud is the lake which offers one magical views of the mountains which surround the clear waters and is sight which is not to be missed. Although the lake is not very large in size, it sure does bring out the shades of green which surround it, making it a major draw. Enveloped by numerous trees and gardens, the place surely does give out one of the most soothing experiences. Located on the mountainous region of the town, the cascading waters would come splashing down the rugged mountain slopes whilst leaving a cloud of mist behind. 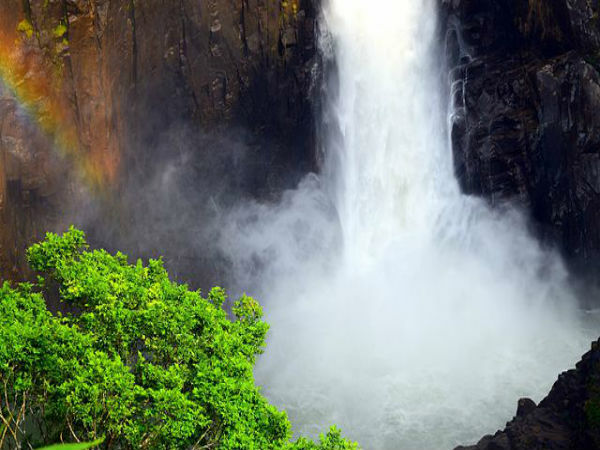 The Kiliyur waterfalls is one of the most blissfully wonderful sights for one to witness in the hilly town of Yercaud. Travelling to the falls is a combination of trekking along with the wonderful sights that you would cross by foot.